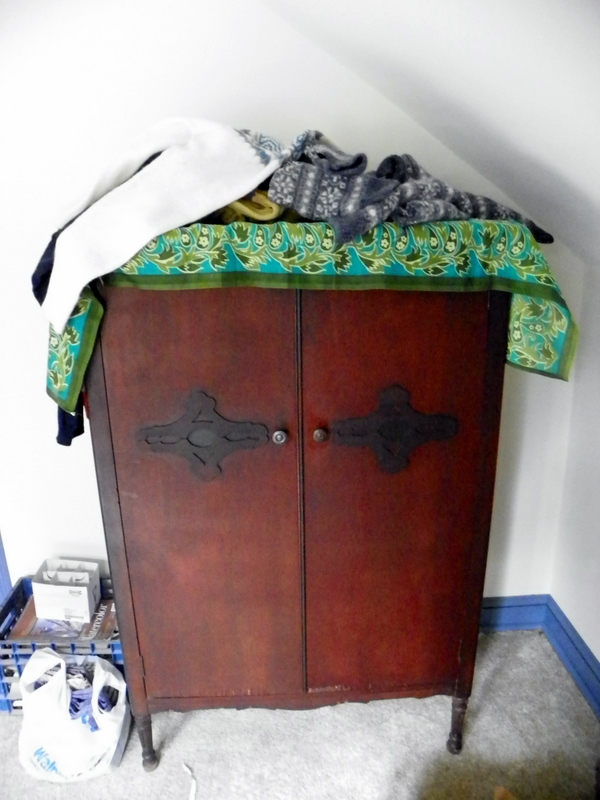 Remember that armoire I got for $15 at a big garage sale? And remember how I cleaned it up? Well here, finally, are some pictures of it being put to good use. Our little house has two rooms upstairs under the eaves: one larger one we use as a guest room, and one bitty one I wanted to turn into a craft room. Finally, a craft room! 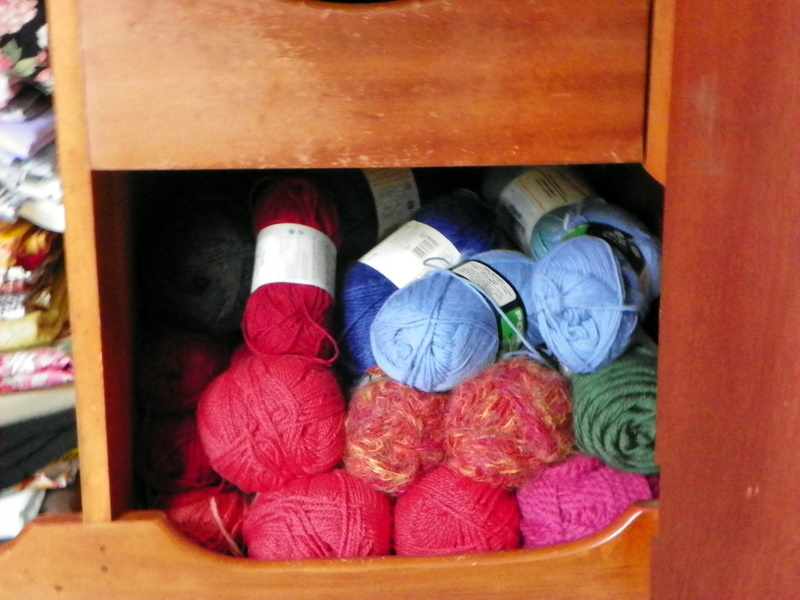 I’m not super duper crafty all the time, but I like to dabble, so it was great to have a room just for that and with the armoire I finally had a place to store my yarn and fabric stashes. And then I got a free console New Home electric sewing machine (and then a second one for free! ), alas, the one is not working right now and the other needs serious cleaning before I attempt to turn it on. 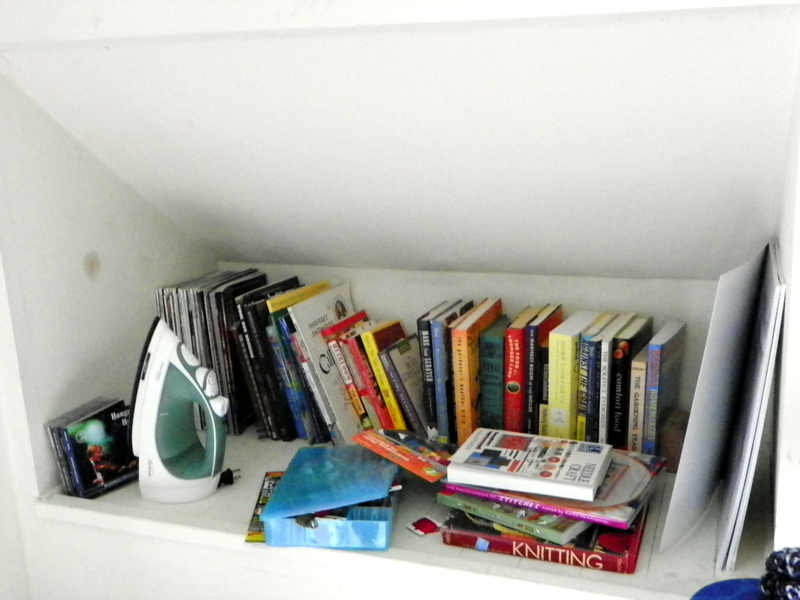 So now I have a perfect little crafty room – just need a cutting table and a better chair and I’ll be set! Inside! Isn't it pretty? My only beef is that there aren't shelves on the left side, but seeing as how it was originally intended to hang things in, I forgive it. Drawers! Partial skeins and parts of what will eventually be a knitted "quilt." Crafty tools! Plus other odds and ends. 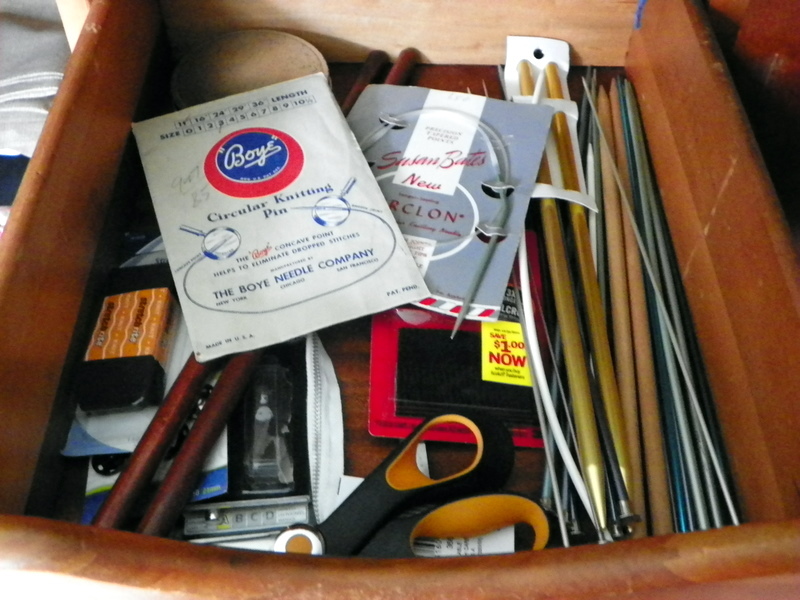 My fantastically sharp, fabric-ONLY, Fiskars scissor plus lots of knitting needles. Including the vintage ones Chad's mom found for me. 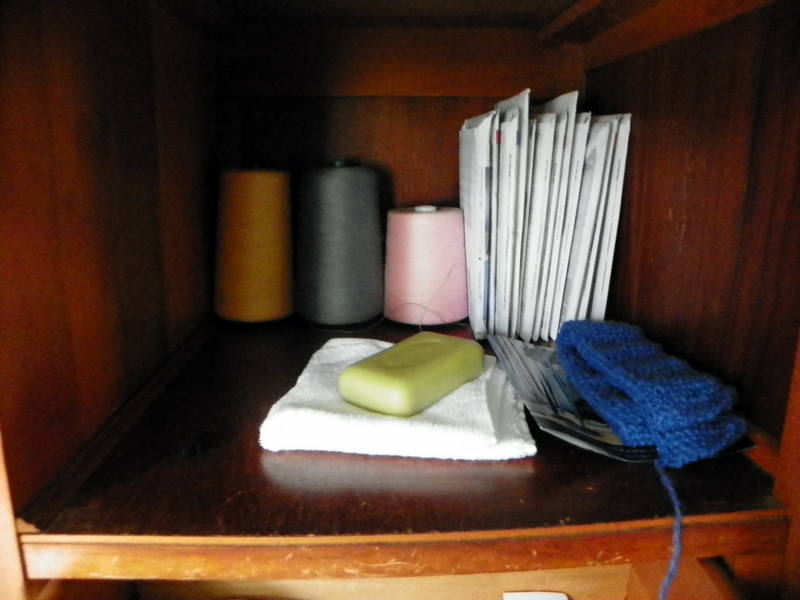 Top shelf with patterns, pretty thread, and a bar of linden-scented soap to keep the armoire smelling nice. 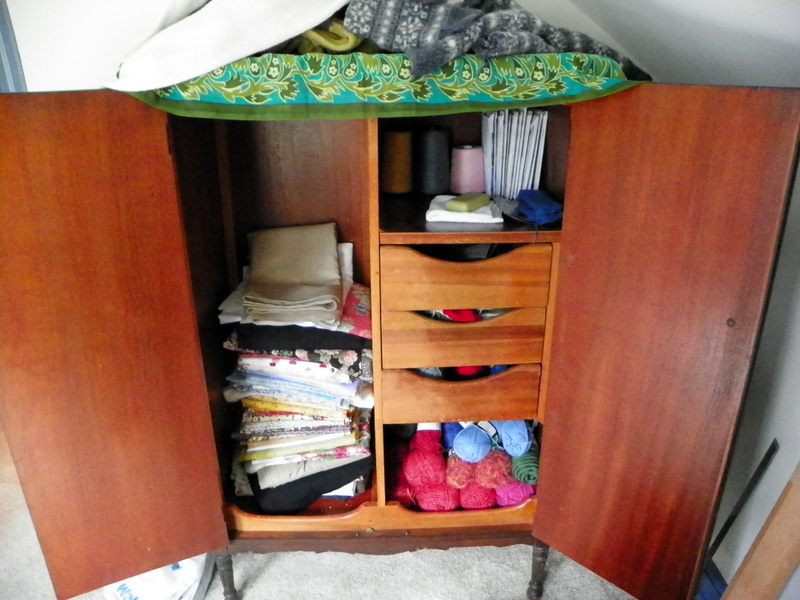 This little built-in cubby came with the room and is perfect for storing all my crafty books and magazines. 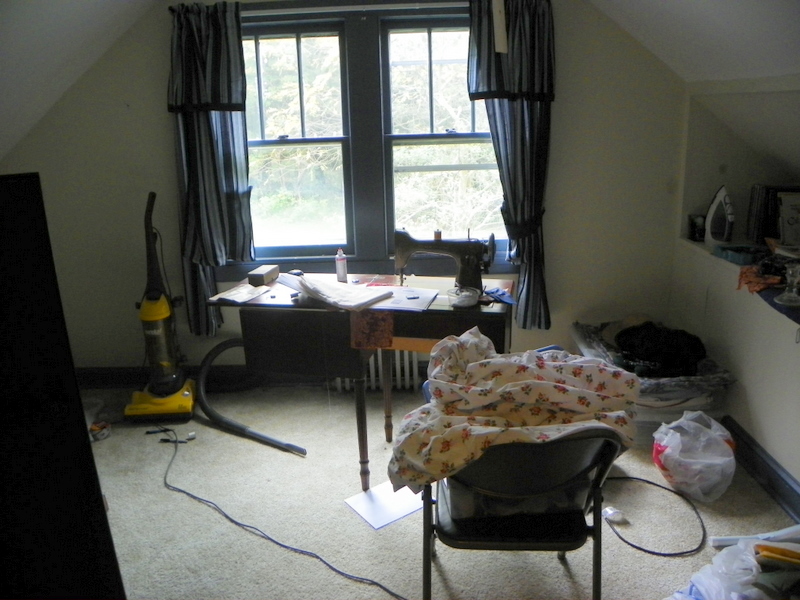 The whole craft room - very messy, but perfectly serviceable once I get it cleaned up better. My beautiful New Home electric console sewing machine. It has a knee pedal, instead of a food pedal. And that’s the tour! I don’t knit up here (our couch is more comfy), but I plan to spend many hours sewing up here once I have enough money to get the sewing machine fixed. 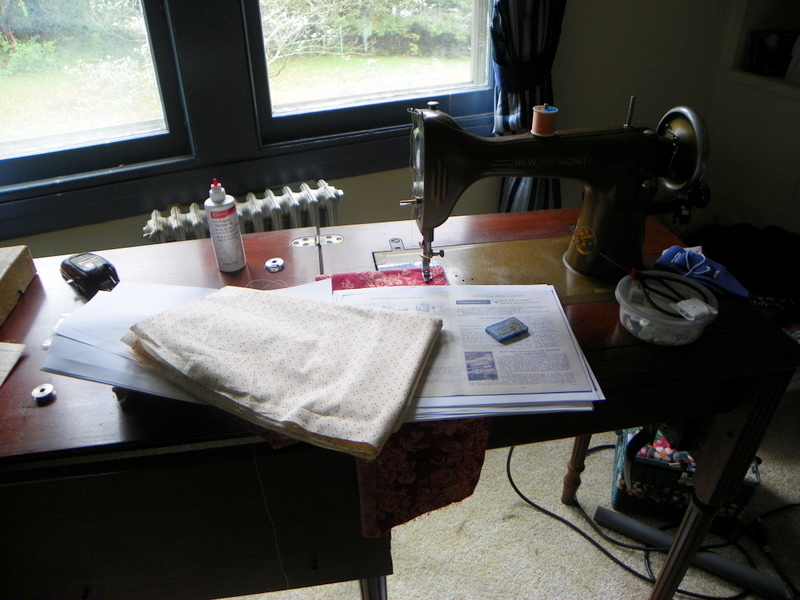 Anyone else have a room or a corner devoted just to sewing or crafting? Show it to us! E-mail us your story and jpegs to farmhousemag (at) gmail (dot) com. Why don’t you get some of those build your own ‘locker’ type shelves that we had in school to make an extra set of shelves? 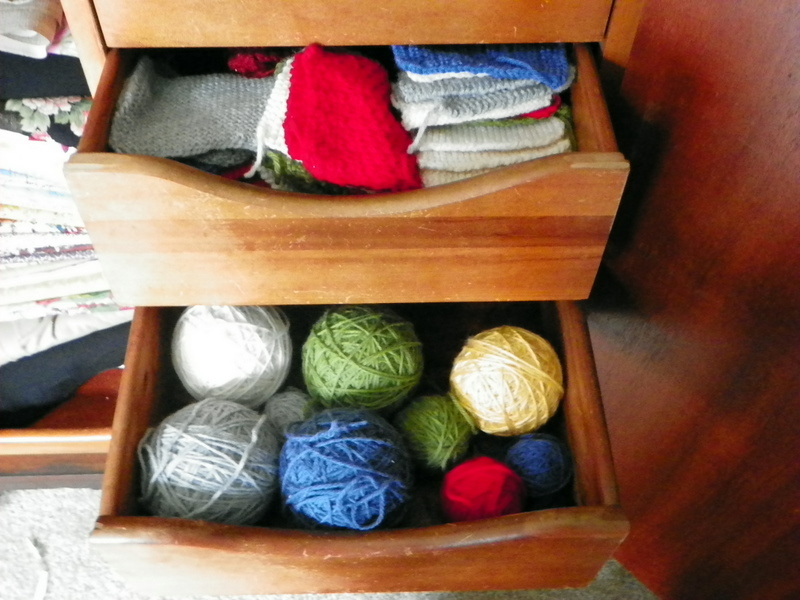 Or hang a sweater organizer in there, they work perfectly for fabric remnants even scrapbook paper. And you could prob find one @ a dollar store or thrift store on the frugal side of things. I might actually be able to get the sewing machine fixed in the next few weeks (yay!) so I’d love to build a clothes hanging rack. I love this one, which is totally DIY – http://www.re-nest.com/re-nest/handmade-industrial-coat-rack-149442 although not super-cheap. I had a party a few weeks ago and gave some crafty friends “the tour,” in person, and one of them commented, “Why didn’t you make the giant room your craft room?” Lol. 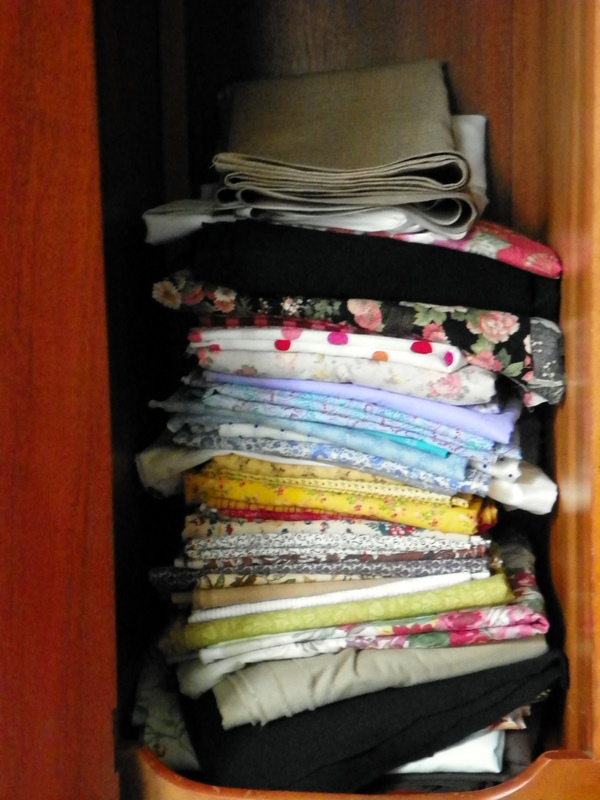 Well, depending on how crafty I get this winter, the guest room might just turn into overflow storage! I found a Singer sewing cabinet a few weeks ago in super condition with with foldout table etc. It was $9.99 @ Goodwill so I nabbed it. Now I just need to see if I can fit my old Singer machine into it, which may take some maneuvering, unless I find someone who has done it before. I long for the day when I will have a dedicated crafting space. Someday.